At The Mead Educational Trust we believe that together we make a positive difference. We believe our staff to be our greatest asset; their dedication and passion for learning ensures that each of our pupils reaches and fulfils their potential and goes on to make a positive difference. We recognise that the success of our academies largely depends on the quality of our staff and so are committed to recruiting and retaining outstanding individuals and are always on the lookout for talented and passionate individuals to join our growing team. Our ambitious and committed family of schools provide real opportunities for aspiring teachers, school leaders and support staff. Our continued coaching, mentoring and support for our staff maximises the skills and talents of our team to deliver outstanding teaching and learning. If you believe that you can make a positive difference, please visit our careers site hosted by our recruitment provide Eteach to join the talent pool and receive job alerts. We have a lot to be proud about at Thurnby Lodge. We have well-resourced, spacious rooms and attractive surroundings. 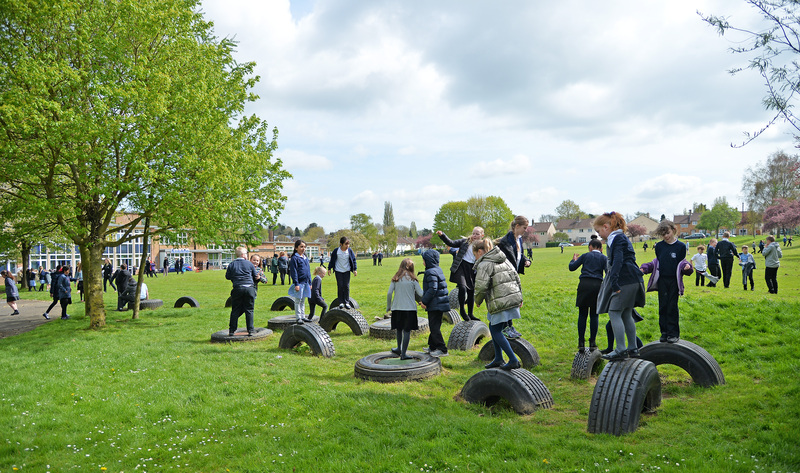 The extensive school grounds have been developed to support learning, providing an attractive and safe environment for all children to enjoy. The school is a happy, stimulating and caring place and we expect high standards of behaviour and good manners throughout the school. If you’re searching for your next teaching post, why not contact us now? You’ll be working at a great school and be part of a friendly, helpful team. We’re always interested to hear from enthusiastic, committed teachers – send us your CV now via our School Talent Pool and say what sort of role you’re looking for. By joining our School Talent Pool we’ll know you’re interested in working here when a future vacancy occurs. We use Eteach as our main recruitment job site. Please click the link below to access advertised vacancies. Please click here to view our vacancies.